You name the sport and Ann Mullins Tindall has played or coached it. The list seems not to end: major women's softball, college and MU basketball, volleyball, tennis, track, field hockey, soccer. 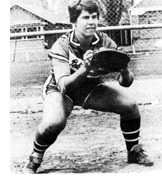 A native of Butler, Illinois who attended Hilisboro High School and Carthage College, Mullins began her major impact on the local scene when she became the Number 1 catcher of the Pekin Lettes when that team, with Lorene Ramsey as one of the nation's top pitchers, was in its prime. Rated by Ramsey "the best catcher in the country between 1964 and 1970", Mullins was extremely quick on her feet, had a brilliant throwing arm and hit with great power. Her 27 home runs is second on the all-time Lettes list despite her comparatively short eight-season career with the team. She batted .295 for the Lettes and produced 282 hits. 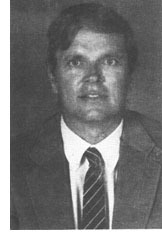 She was chosen to numerous all-tournament teams and inducted into the Illinois ASA Hall of Fame in 1976. She played AAU basketball in Peoria and Pekin from 1963 through 1971 and was a seven-time all-stater. A top scorer and rebounder, she advanced to the last cut in the Olympic Development Training camp for the selection of the 1967 United States Pan-American team. Once she scored 50 points in a basketball game for Carthage against Southern Illinois. She is a member of the Central Amateur Athletic Union Hall of Fame and the Carthage College Hall of Fame. She was a third team Midwest selection in field hockey, coached girls tennis and track at Central High School and coached soccer in the Peoria Parochial League. She also has served as president of the Peoria Soccer Club.